Want to learn more about fish veterinarians’ work? Aquatic Veterinary Resource. 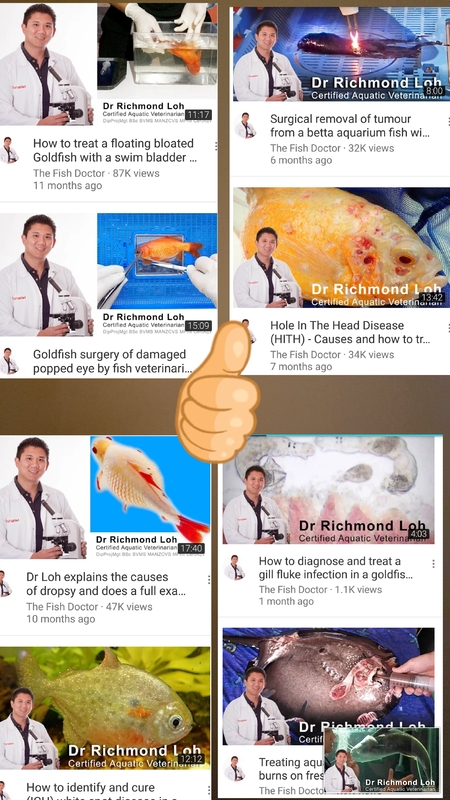 Doctor Richmond Loh is a Certified Aquatic Veterinarian and Fish Pathologist, provides expert advice on how to cure your sick fish, from a goldfish with bloat, to a cichlid with Hexamita, fish with cloudy eye infections, or parasites like white spot disease, gill flukes, parasitic worms – our goal is to provide videos that help you cure your sick fish. Dr Loh is a Past-President of the World Aquatic Veterinary Medical Association, and continues to help the veterinary and para-professional communities by serving as WAVMA Webinar co-ordinator/moderator and WAVMA Executive Board Member. He is also an Adjunct Lecturer at Murdoch University and provides advice on fish health and welfare to various universities & the RSPCA. Previous Post Fish joke for Monday-itis? Housing for molluscs.